Chiropractic, Getting To The Underlying Cause of Headache! Chiropractic has been shown to be a safe, natural approach to headache. Rather than simply masking the symptoms of your headache, we perform a detailed assessment to discover what is really causing the problem and correct those. Call 9857 4503 to arrange a consultation now. If you suffer from a headache on a regular basis, the chances are that you are one of the estimated three million Australians who use medication for pain control. An Adelaide University study showed that the drug can actually make pain worse and that regular users have an increased sensitivity to pain. More worryingly, long-term users can become addicted to using the drug. There are similar concerns for other over-the-counter pain relief medications. In sharp contrast to the concerns about self-medicating with painkillers, here are two interesting reports on the efficacy of Chiropractic for Migraines and Tension Headaches. 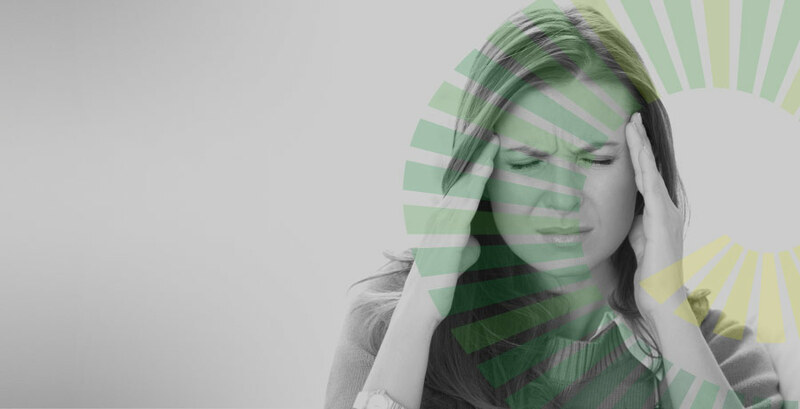 The website Migraine.com reports that collating the results of twenty-two separate studies in which more than 2,600 headache sufferers participated, demonstrated that Chiropractic is effective in prevention of Migraine and could lessen the intensity of pain during attacks. In fact, 22% of the participants in one study reported a 90% drop in the number of attacks and 49% reported a significant decrease in the intensity of pain during attacks. The University of Maryland published interesting results on the treatment of tension headache, concluding that Chiropractic is especially helpful for tension headaches that start in the neck. One study by Duke University in North Carolina, USA, found that pain was reduced by 50% after a single Chiropractic treatment and that the benefits lasted longer and with fewer side effects than with drug treatment. Desk-bound workers should stop working at least every hour and take a few moments to stretch and gently move the head and neck through a comfortable range of movements. Gentle exercise such as walking or other low impact forms of exercise can help. Avoid dehydration by drinking adequate water during the day (eight glasses being the recommended intake). Tension and stress can cause jaw clenching and an irritation of the joints connecting the jaw to the skull, resulting in headache. Consciously avoiding teeth clenching could help. Dr Nereo Rigoni is the Chiropractor here at Eastern Chiropractic Clinic. Like all Doctors of Chiropractic, he has undergone lengthy and rigorous training to ensure that he can help you in many ways. Choosing Chiropractic to treat your headache will involve an initial consultation in which Nereo will be able to determine whether this is the right treatment for you, based on a taking detailed medical history and conducting an examination. Treatment will include a range of methods, tailored to your exact needs. This may be Chiropractic adjustments and/or spinal manipulation. In addition, depending on the cause of your headache problems, Nereo may advise on nutrition, posture and perhaps some exercises or relaxation techniques that should help to relieve tension and joint irritation. Call 9857 4503 now to arrange a consultation.